The Chamber of Commerce has decided to honor two businesses each month. We are fortunate to cover multiple communities and selecting businesses in different municipalities allows more of our great businesses to be recognized. Our September Business of the Month in Manchester is Fresh Ayr Farm Market. 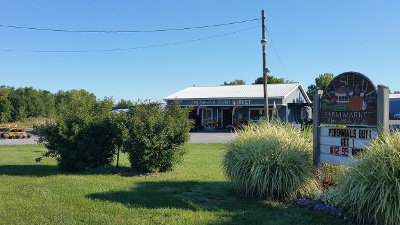 They have seasonal farm and garden items including flowers, plants, lawn ornaments and much more. We appreciate the support you give to your local businesses!